7. Such "confession" or "statement" can be recorded either during the course of an investigation or at any time thereafter but before the commencement of inquiry or trial. The investigation referred to under Section 164(1) can either be under Chapter XII of Cr.P.C. or under any other law for the time being in force. D. CAN A NON-CONFESSIONAL STATEMENT OF AN ACCUSED BE RECORDED UNDER SECTION 164 Cr.P.C.? 8. Yes. Section 164 Cr.P.C. only says that a Judicial Magistrate may record a confession or a statement. In other words, the Section does not say that in the case of an accused person the Magistrate can only record his confession. The Section empowers the Magistrate to record the confession of an accused person and also to record the statement of any person (which can include an accused person as well). Thus, a non-confessional statement made by an accused can also be recorded by the Magistrate under Section 164 Cr.P.C. (vide Rao Shiv Bahadur Singh and Another v. State of Vindhya Pradesh AIR 1954 SC 322 = 1954 KHC 472 – 3 Judges; Varghese M.U. v. CBI, Cochin 2015 (3) KHC 417 (Kerala). A statement under Section 164 Cr.P.C. not amounting to a confession can be used against to the maker as an admission under Sections 18 to 21 of the Evidence Act. (vide Ghulam Hossain v. The King(1950) 51 Cri.L.J. 1552 (PC). The State of Kerala had witnessed the request by a custody prisoner by name Saritha Nair made to a Magistrate to record her statement and the arguments both in the media as well as elsewhere for and against such request. The controversy in that connection had even resulted in disciplinary proceedings pending enquiry against the Judicial Magistrate concerned and he was eventually exonerated by the High Court of Kerala. E. HOW TO RECORD A "CONFESSION" UNDER SECTION 164 Cr.P.C.? 9. Let us now consider the modalities of recording the "confession" of an accused person by a Magistrate under Section 164 Cr.P.C. during the stage of the investigation. E1. WHAT IS A CONFESSION? A confession must either admit in terms the offence, or at any rate substantially all the facts which constitute the offence. 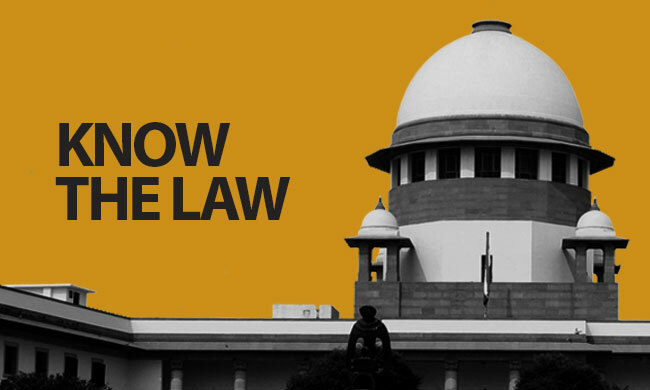 The above definition was approved by the Supreme Court of India in Palvinder Kaur v. State of Punjab AIR 1952 SC 354; Om Prakash v. State AIR 1960 SC 409; Veera Ibrahim v. State of Maharashtra (1976) 2 SCC 302; Jameel Ahmed v. State of Rajasthan AIR 2004 SC 588. Both these instances of judicial confession are taking place inside the Court. Section 164 Cr.P.C. is the provision which deals with judicial confession during the stage of investigation. Instances of judicial confession during trial are when the "substance of accusation" is read over to the accused in a "Summons Trial" under Section 252 Cr.P.C. or when a "charge" is framed against accused in a "Warrant Trial" under Sections 240(1) or 246(1) Cr.P.C. or in a "Sessions Trial" under Section 229 Cr.P.C. In all these cases the Court concerned is taking the plea of the accused either to the substance of accusation or to the charge. If the accused voluntarily pleads guilty to the substance of accusation or to the charge, it is an instance of judicial confession during trial. Extra judicial confession taking place outside the Court can include confessions made to persons in authority like the Police or other non-police officers functioning under various statutes and also confessions made to a friend or relative or even to a stranger. In the case of extra-judicial confessions made to "persons in authority", the validity of such confessions will have to be decided with reference to Section 163 Cr.P.C. and Section 24 of the Evidence Act. In the case of extra-judicial confessions made to private persons, Courts usually examine whether such persons have any oblique motive and whether their testimony is cogent, credible and free from blemishes.